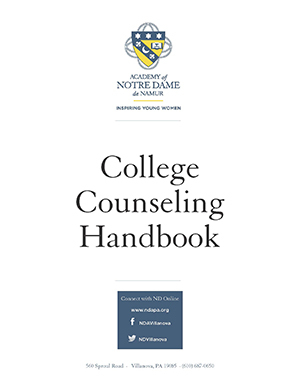 The college counseling program at the Academy of Notre Dame is committed to working together to support students and parents through the college exploration and application process. Selecting a college that matches a student's interests and abilities requires thought, preparation, and research. Students are encouraged to explore their interests and the many college options that are available to them by participating in a wide array of programs and meetings presented to them by the college counseling department. The journey begins the moment each student enters our doors. The faculty and staff at Notre Dame prepare students for college by providing essential learning and critical thinking skills needed for lifelong achievement. The college counseling department looks forward to working with students and their parents in this important decision-making process. We feel strongly that given reasonable involvement by us all, each student will have the necessary information to make an informed decision about her future. Our students are eager to meet you! 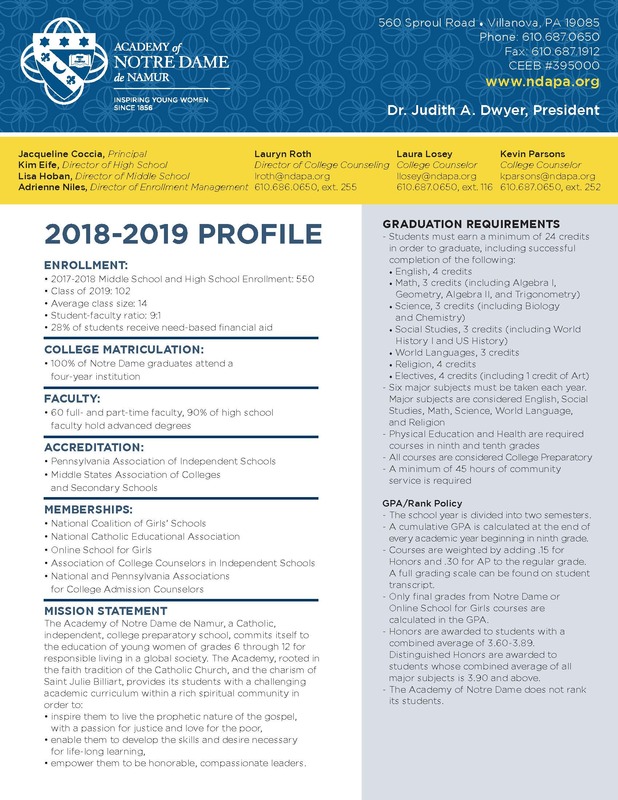 Please visit counselorcommunity.com for available dates and times to visit the Academy of Notre Dame. On the day of your visit, a college counselor will greet you in the Harron Lobby. We're looking forward to seeing you soon.